Home -Wallpapers Your Awesome Cheetah Hunt Wallpaper is here! Your Awesome Cheetah Hunt Wallpaper is here! Here's a Wallpaper to get you through the upcoming work week. Well, to be honest, I haven't changed my wallpaper since the awesome Dueling Dragon's one, but this one's colors and angle are absolutely awesome. 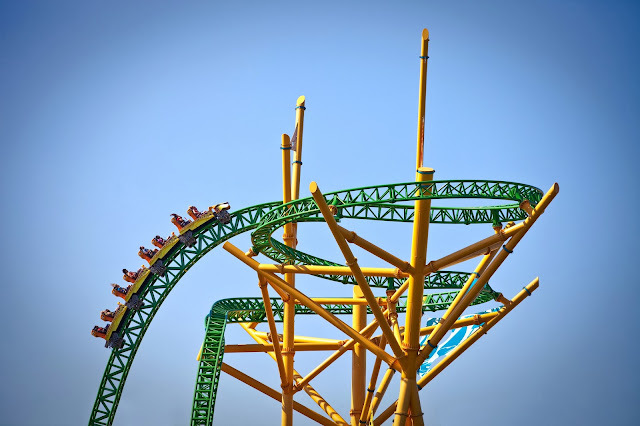 Cheetah Hunt has a way of making the support structure part of the ride, brilliant.